Our marine fisheries consist of the fish and other products harvested from coastal and oceanic waters. 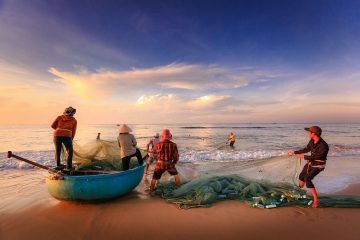 The fishing industry provides us with food, export earnings, and a source of livelihood to over 1.3 million small (99%) and commercial (1%) fishers. Municipal or small-scale fishers operate within 15 kilometers of the shoreline with or without boats that have a gross tonnage of 3 tons or less, and use passive fishing gear like hook and line and gill nets, while commercial or largescale fishers operate beyond 15 kilometers from the shoreline using boats that with a gross tonnage of over 3 tons and use gear like the bag net and ring net. 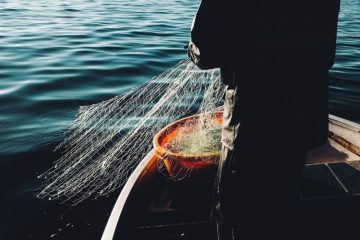 The bulk of our marine fisheries production comes from the harvest of pelagic (sea surface-dwelling) fishes like the round scad and Indian sardine (tamban), and demersal (sea bottom-dwelling) fishes like the slipmouth (sapsap ) and snapper (maya-maya ). 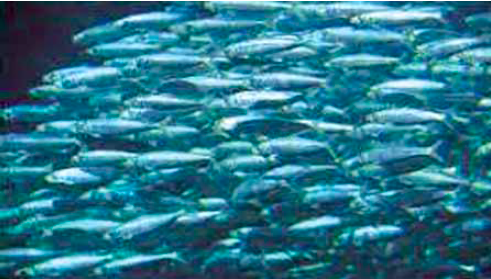 Small pelagic fish contribute more than 50% to our total marine fisheries production. Over the years, however, with our population growth and increasing fishing pressure, our marine fisheries stocks have declined. For instance, in the Visayan Sea—one of our major fishing grounds for small pelagics like the tamban—the average production in 1982-1987 of 41,793 metric tons (mt) dropped to 25,630 mt in 2012. 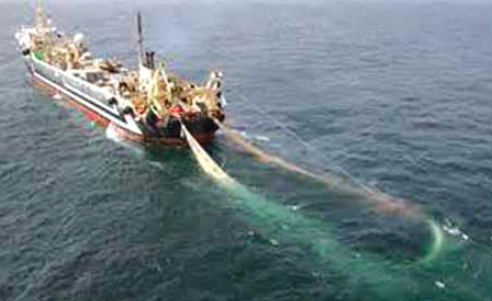 Commercial fishing of pelagic fishes. 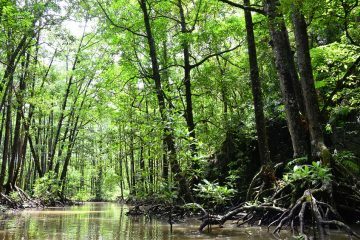 Such closures are declared to increase a fish population by protecting it at a vulnerable stage of its life cycle, like when it is breeding. Based on fish stock assessment studies conducted by researchers of the Bureau of Fisheries and Aquatic Resources (BFAR) and its research arm, the National Fisheries Research and Development Institute (NFRDI), the periods when commercial stocks of tuna in the Davao Gulf and the small pelagics in the Visayan Sea and other fishing grounds need this protection have been ascertained. Administrative Order No. 167 was issued by the Department of Agriculture (DA) Secretary in 1989 declaring a closed fishing season for the fishing of tamban in the Visayan Sea. 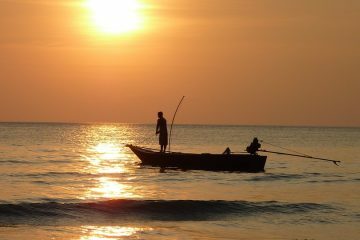 The ban prohibiting the catching of the fish by commercial fishers from November 15 to February 15 (a period of 3 months) every year, however, was only enforced in 2011. 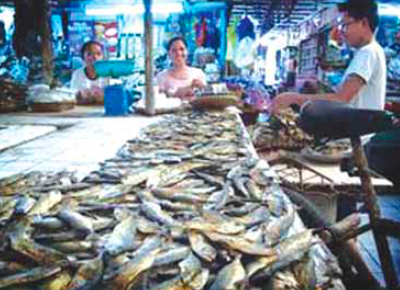 In 2013, the BFAR reported that as a result of the ban, there was an increase by 20.3% of the total sardine production of the municipal fishers compared to production in 2012. 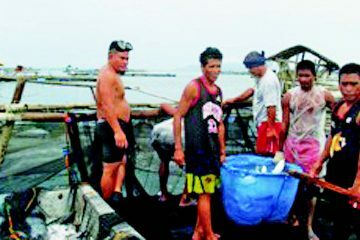 In 2011, a joint Administrative Order of the DA and Department of Interior and Local Government (DILG) was issued for the closed fishing season for catching tamban in the coastal waters of the Zamboanga Peninsula (East Sulu Sea, Basilan Strait, and Sibuguey Bay) from December 1 to March 1 every year. There was an increase by 6.34% of the sardine catch by the commercial and municipal fishers in 2012. Marine fishes being sold in a wet market. In 2014, a closed fishing season for catching tuna by commercial fishers in the Davao Gulf from June 1 to August 31 each year was also imposed by the BFAR. The effectiveness of the ban has yet to be determined. 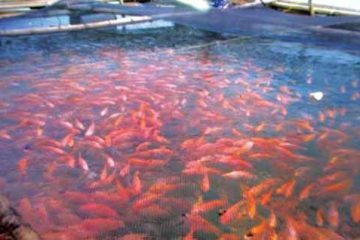 Research is in progress for the assessment of the galunggong fishery in the West Palawan waters for its conservation through a closed fishing season. As expected, there was initial resistance from the commercial fishing operators to the fishing bans that limited their fish catch during the closed fishing seasons. Nonetheless, with the positive impacts of the conservation measure and through dialogues with the stakeholders and information-education communication campaigns, the all-out support of the major industry players has been obtained.